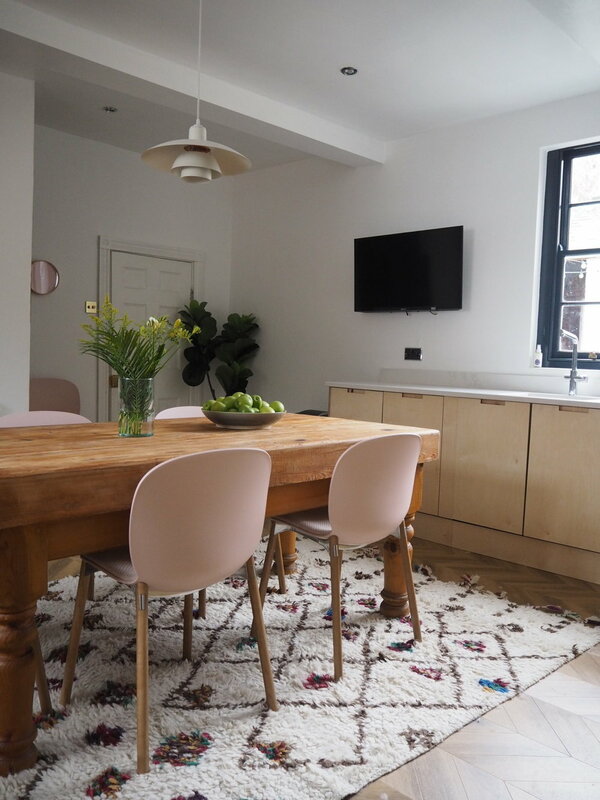 Multi award winning blogger, writer, presenter, and columnist for Real Homes Lisa Dawson featured the RBM Noor in a recent blog detailing the interior design transformation of her home kitchen. 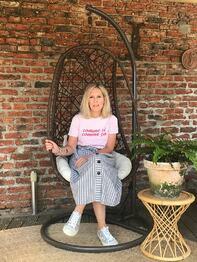 You can read Lisa’s blog in full via the link at the bottom of this page. The aim of Lisa’s redesign was to make the space cosier. She was happy with the layout, but not the colour and styles. Influenced by a Pinterest board - “Ply doors, wooden floor, farmhouse table, neutral decor. The whole effect was light and bright but also sustainable and bursting with natural materials. 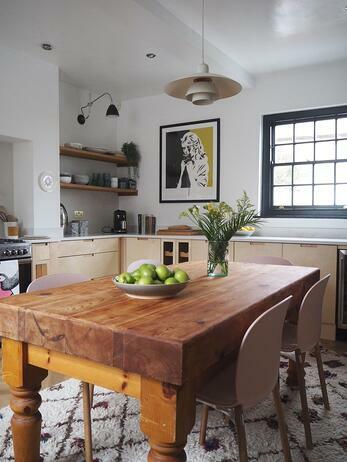 I wanted this look for my own kitchen” – she set out on her project. Having only renovated 4 years previously, Lisa’s goal was to restyle in as sustainable method as possible, reusing and recycling elements wherever possible, and ‘freecycling’ (gifting for free) anything she no longer wanted. 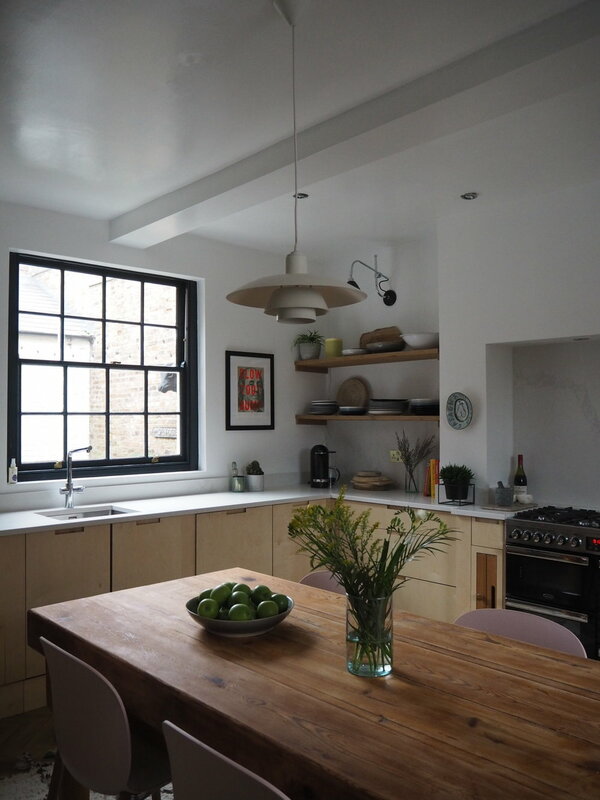 Lisa freecycled an unwanted ornate cupboard, recycled and replaced her cupboard doors, and installed new worktops, with her old ones re-purposed in student houses by her builder friend, along with the kitchen sink. Old lighting was sold online, whilst the radiator given away for free. 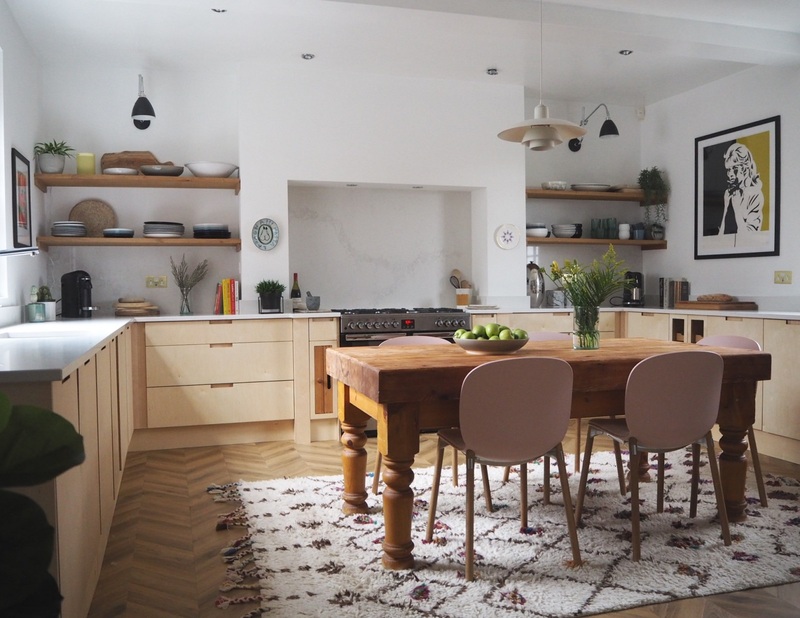 The old elements were replaced, creating a natural feet to the kitchen, with a new wooden floor, table, and cupboard doors, with light marble work surfaces. 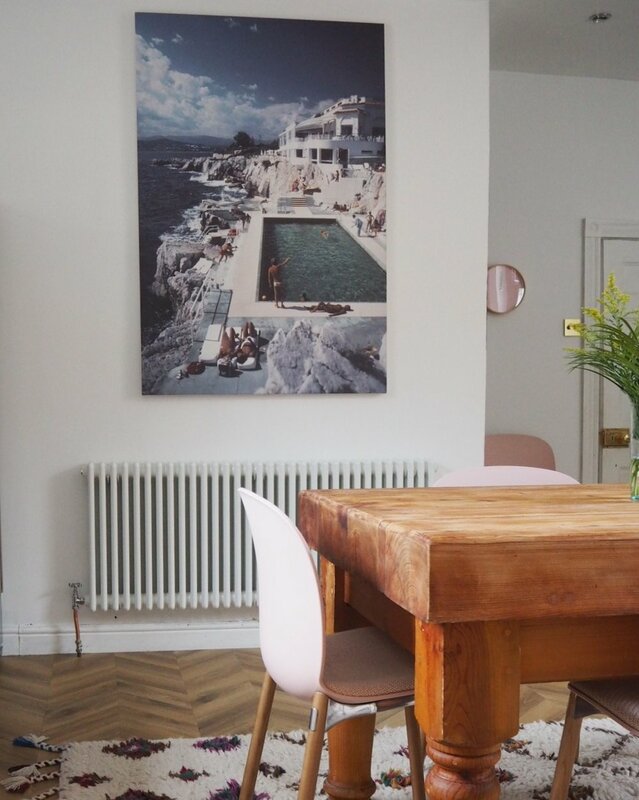 Lisa wanted a colour contrast to the rest of the room and loved the idea of pale pink against the birch wood ply. She visited the Flokk showroom in Clerkenwell and picked both a wool seat and shell from a huge variety of colours. Five RBM Noor chairs and two sleigh stacking chairs completed the seating arrangements. They’re made from recyclable and recycled materials so they not only look good, they’re also good for the environment. And how does she feel about the transformation?